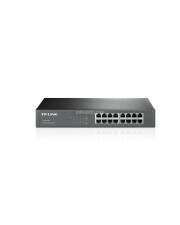 Switch yang tidak dapat di - manage / atur setting nya. 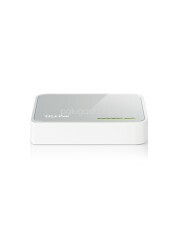 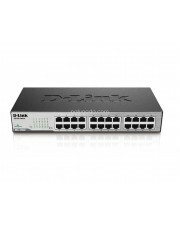 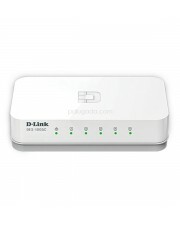 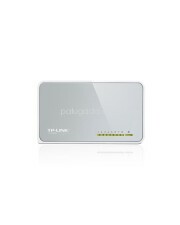 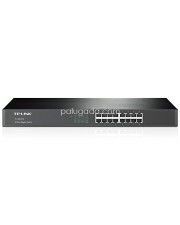 DES-1005C 5-Port 10/100 Mbps Unmanaged Switch -High-Speed Networking -Energy Efficient -..
D-Link DES-1008C 8-Port 10/100 Mbps Unmanaged Switch Garansi resmi 3 tahun dari D-link In..
DES-1016C 16-Port 10/100 Mbps Unmanaged Switch -High-Speed Networking -Intelligent Data Str..
DES-1024D 24-Port 10/100 Mbps Unmanaged Switch -High-Speed Networking -Intelligent Data Str..
DGS-108 8-Port Gigabit Desktop Switch In Metal Casing - High-Speed Networking - Intelligen..
5-Port 10/100Mbps Desktop Switch MS105 Five 10/100Mbps auto-negotiation RJ45 ports ..
8-Port 10/100Mbps Desktop Switch MS108 Eight 10/100Mbps auto-negotiation RJ45 ports..
S808G 8-Port Gigabit Desktop Switch Gigabit Ethernet Speed Auto MDI/MDIX Plug and Pl..
5-Port 10/100Mbps Desktop Switch TL-SF1005D Highlight: 5 port RJ45 10/100Mbps Auto-Negot..
8-Port 10/100Mbps Desktop Switch TL-SF1008D Highlight: 8 port RJ45 10/100Mbps Auto-Negot..
16-Port 10/100Mbps Desktop Switch TL-SF1016D Highlight: 16 port RJ45 10/100Mbps Auto-Neg..
16-Port 10/100Mbps Switch TL-SF1016DS Highlight: 16 port RJ45 10/100M. 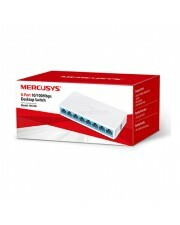 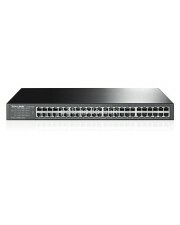 Mendukung MAC a..
24-Port 10/100Mbps Rackmount Switch TL-SF1024 Highlight: 24 port RJ45 10/100M. 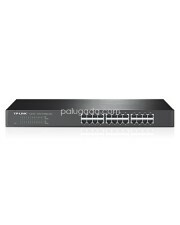 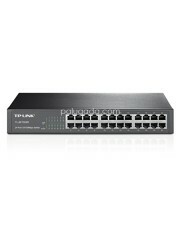 Teknolo..
24-port 10/100Mbps Desktop/Rackmount Switch TL-SF1024D 24 10/100M RJ45 ports. 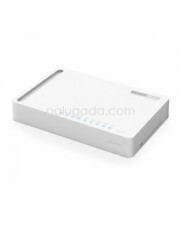 Innova..
24-Port 10/100Mbps Desktop Switch TL-SF1024M 24 10/100Mbps Auto-Negotiation RJ45 ports,..
48-Port 10/100Mbps Rackmount SwitchTL-SF1048 48 port RJ45 10/100M. 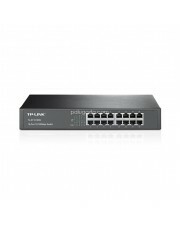 Teknologi Inovatif hema..
5-Port Gigabit Desktop Switch TL-SG1005D Highlight: 5 port RJ45 Gigabit Auto-Negotiation..
8-Port Gigabit Desktop Switch TL-SG1008D Highlight: 8 port RJ45 Gigabit Auto-Negotiation..
16-Port Gigabit Switch TL-SG1016 16 port RJ45 10/100/1000 Mbps. 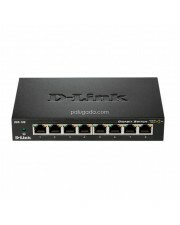 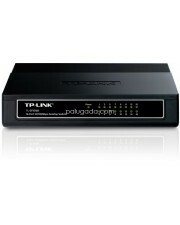 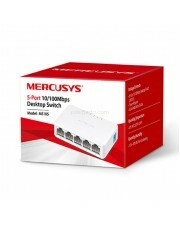 Teknologi Inovatif..
16-Port Gigabit Switch TL-SG1016D 16 port RJ45 Gigabit Auto-Negotiation, Mendukung Aut..